Many people think an officiant is a person who helps couples pronounce their vows and exchange their rings and that's all there is to it. On the surface this is true... So you may be wondering, “What else does an officiant do?” And, more importantly, "What do our officiants do, that set us apart from all other officiants?". To us being your officiant is part of the joy of our lives, and we aim to create a ceremony that will add to the joy of your lives. 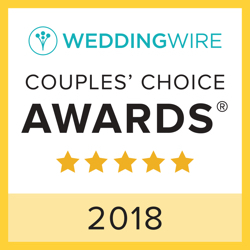 We have been officiating weddings and renewing vow ceremonies for more than 18 years and we have received the "Couples' Choice" award every year because couples like you feel so cared for by the officiants on our team. 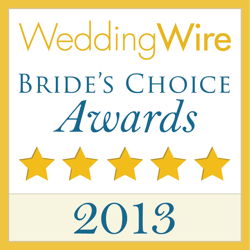 Thank you, Bob for your help, your patience and the wonderful ceremony you performed on our fantastic wedding day! Your calming ways and beautiful words, as well as the surprise of including vows for us to our children were absolutely appreciated and perfect! God Bless you and thank you again! 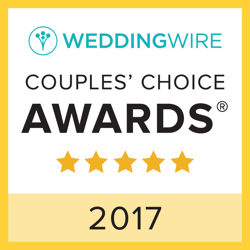 It’s good that we believe in couple-ship, and it is great that we have worked with couples before and after their wedding to help them create loving relationships. It is even better, though, that we have mastered the ability to focus only on the love between the two of you on your wedding day and communicate that not only in words, but in who we are... we call that skill being “present in the moment”, to you, to everyone there. 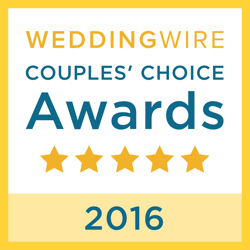 When we say we are your “officiants for life” we trust that you will count on us to be there for you in the future. Destination weddings are beautiful, and meaningful not only for you, the couple, but for your family and friends who have traveled to be with you. When you choose us, you choose the officiants can make your wedding ceremony meaningful for all.